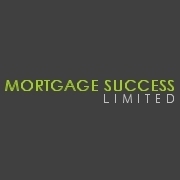 Mortgage Success Ltd is a Whole of Market Manchester Mortgage Brokers covering the whole of the UK. We have nearly a decades worth of experience working in the Mortgage and Financial services industry. Our independence in not tied to any estate agents or lenders ensures that our commitment is to our clients – you. Our experience is made up of working for Mortgage lenders and around 5 years as a Manchester Mortgage Broker. This has allowed us to gain inside knowledge of what the underwriters assessing your Mortgage application are looking for, but we also have many years experience as a Mortgage broker meaning we have the knowledge needed to allow us to get your application in with the lender most suited to your circumstances. – First time buyers Mortgages – we genuinely love to help first time buyers, we have the excitement you do once your offer has been accepted and we still get that buzz the minute we get to call you to let you know your Mortgage application has been approved. We are there to help guide you through the application process, answer your questions and generally provide you with that reassurance whilst your Mortgage application is with the underwriters. – Bad Credit Mortgages – This is the Market we specialise in, we know which Mortgage lenders are good for those with defaults or CCJs and other lenders who are open to Bankruptcy, IVAs and DMPs…or a combination of any of the above. A lot of the time, these issues are due to youth and not realising the impact ignoring the letters would have or due to an event such as illness or redundancy. Either way, we have the knowledge and experience of getting Adverse Mortgage applications through to offer. – Debt Consolidation Mortgages – Following the recession we have had, a lot of people have built up debt for one reason or another. That debt has mounted up and is coming down quite slowly. We can help you get back on top of it to a point where you can afford to live again and not be worrying when letters hit the mat. As we are your local Manchester Mortgage Brokers, we are able to offer face to face advice to first time buyers, home movers and those with adverse credit. Manchester is our home and we know the market and many of the estate agents well. 2 of our Mortgage Brokers were born and raised in Manchester. Because Manchester is such a vibrant and thriving city, it is not uncommon for us to come across people who have either moved to the city for Uni but want to plant some roots here after finishing or people looking to move to Manchester for work which is great! As your Manchester Mortgage Brokers our job is to get you your Mortgage, but we are also happy to provide help and assitance on the areas that could be ideal for you and your family. Manchester has many different areas and with the recent expansion of the tram system, commuting in to the city centre is getting easier and quicker, Manchester really is the place to be at the minute and we are the Mortgage Brokers to help you get settled. So if you are looking for a Mortgage Broker in Manchester and would like to discuss your circumstances with someone, please feel free to get in touch. We are not sales people and are more than happy to have a quick chat on the phone without all of the sales spiel. Alternatively you are more than welcome to use our contact form to get in touch.